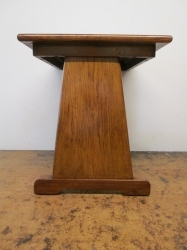 Made from solid oak with dowel and screw construction methods. 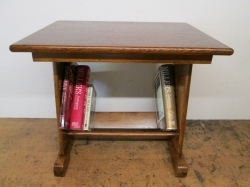 Unusual side table with lower book collection rack. 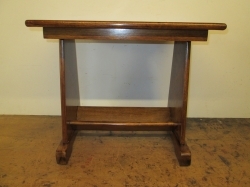 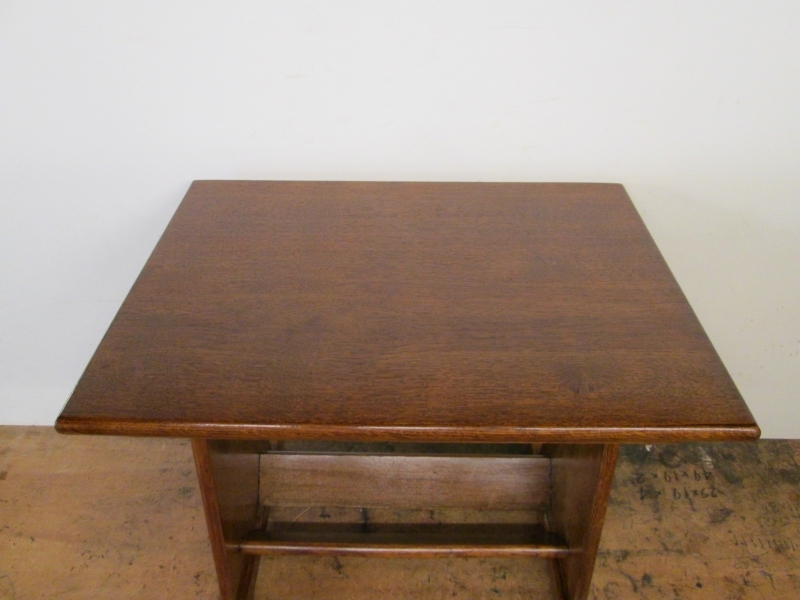 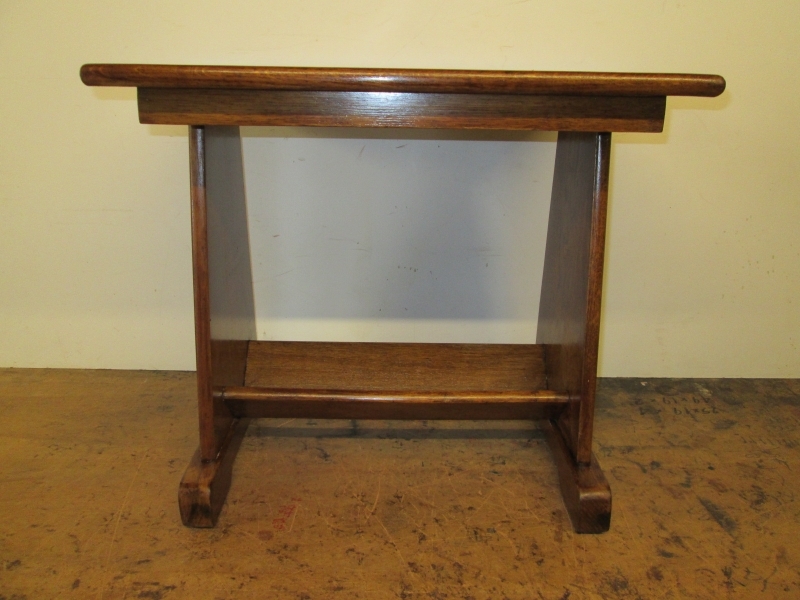 The table has just been re-glued and re-polished with the finest shellac/wax. Side table is now ready to display and use again. Dimensions - height 54.5 cms, width 61 cms, depth 46.5 cms.